What’s so special about Bali? If friendly locals and great food doesn’t impress you, what about great value for money, astonishingly picturesque nature, and a rich cultural heritage? No? Oh, come on. How could you not want to visit these landmarks and destinations? Hidden in Bali’s awe-inspiring, verdant jungles, Sekumpul Waterfall is an amazing natural water source. You can reach it by trekking through this beautiful scenery. On your way, you will see interesting fruit trees and pass local settlements. There are roughly seven waterfalls on this day out, so there is plenty to discover. A must-see, these rice terraces are gorgeously green and make for fantastic photo opportunities. The rice terraces are irrigated by a 9th century technique, which gives this landscape its unique formation. 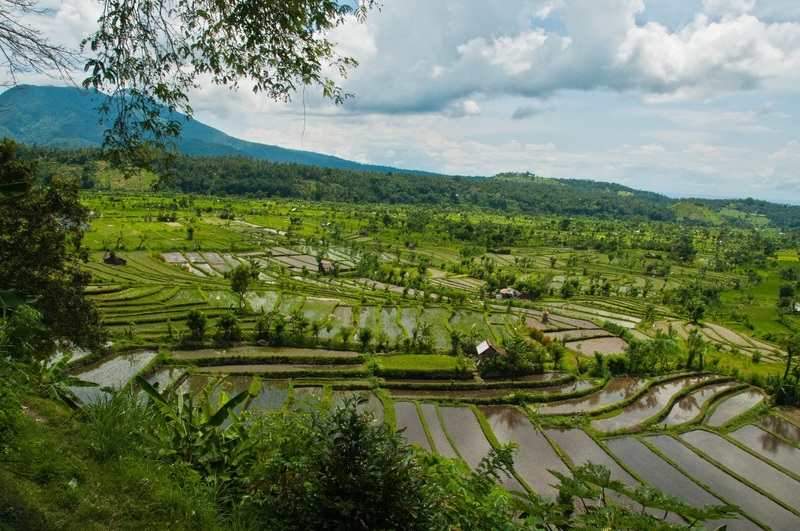 Overlooking the rice terraces, there are a number of local restaurants, serving traditional, Indonesian fare. 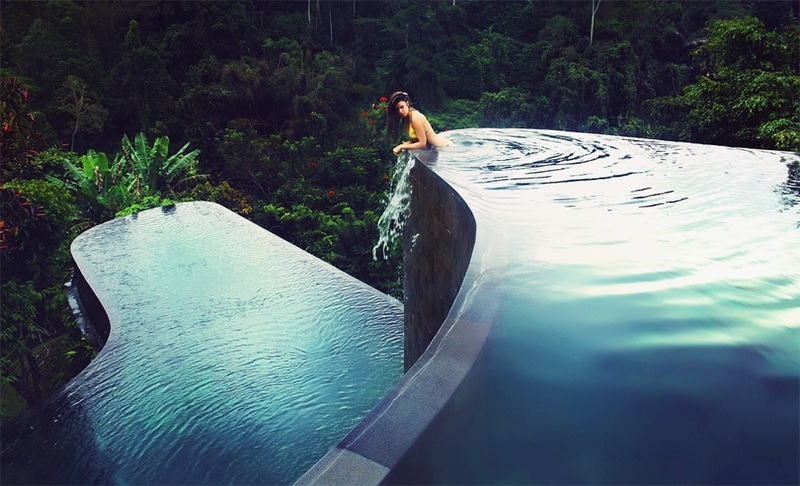 You haven’t seen Bali until you’ve seen this. Tirta Gangga – the water palace – used to house the royal family. Literally, it means “water from the Ganges”, which has religious significance for Hindus. This staggering temple is made up of pools, fountains, stone carvings, and gardens. You have to see the beautiful, tiered fountain at Tirta Gangga – it really is a wonder. 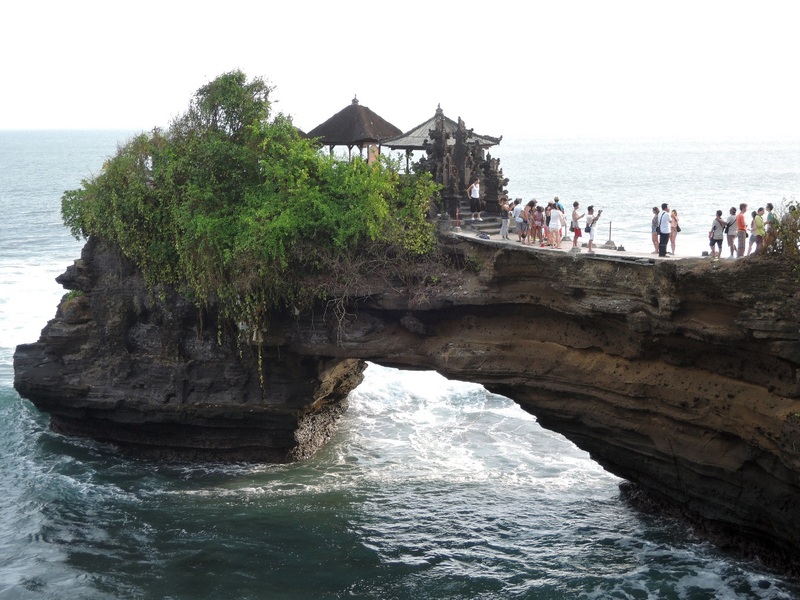 Based offshore, on a tiny islet, Tanah Lot Temple was developed as an offering to the sea god, Baruna, in the late 15th century and early 16th century. Tanah Lot is constantly threatened by erosion, with the constant crashing of waves against the land, but it’s now protected by artificial rock. On-shore, smaller temples hold performances and ceremonies. Go marvel at the beautiful architecture and be blessed by holy water! Mount Kawi is a sacred volcano. If that’s not enough to get you excited, this mountain is also inextricably linked with Javanese folklore and there is even a holy tree there, where it is said that you will become extremely wealthy, if you catch one of its falling leaves. This lovely walk will give you an opportunity to relax, surrounded by Indonesian wildlife. There is even a small café on the way, where you can stop for fresh fruit platters and take a moment. The best time to tackle this walk is in the early morning or late afternoon – catching the sunrise and sunset really makes this hike magical. Ubud Monkey Forest is a nature reserve, full of Hindu temples. This sacred sanctuary is big on its conservation and finding harmony between human beings and nature. There are extremely rare plants here, as well as ravines and rocky streams. It’s a lovely place to go for a stroll, even though it is popular with tourists visiting Bali. Have you visited Bali before? What was your favourite part of your travels?